Lovely 2-story across from neighborhood park in Parker's Auburn Hills neighborhood. Beautiful, vaulted entry leading to sunny dining area and open kitchen with granite counters, black appliances and newer fridge, center island and abundant counter space. The main level also includes a bright, open family room with ceiling fan and cozy gas fireplace, powder room and extended hardwood floors throughout. The upper level boasts 4 bedrooms including a vaulted master with private 5-pc master bath and 3 secondary bedrooms. A secondary full bath and conveniently located laundry complete the level. The basement is finished with a rec room, bedroom and 3/4 bath. Enjoy the concrete patio and landscaped backyard; great for entertaining! 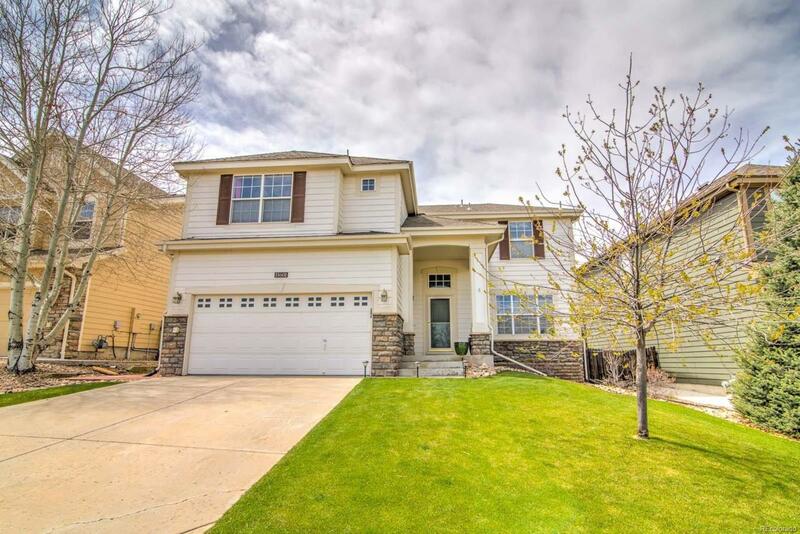 Situated across from neighborhood park and near schools in the coveted Douglas County School District. Close to major commuter routes.